I'd say it looks like a Krieg Commissar with Sergeant Telion's head... but that's similar to your old Rogue Trader. Either way, I cannot WAIT to see this! Ha, well I did say there were plenty of clues! Really like your blog man and look forward to seeing your new project. 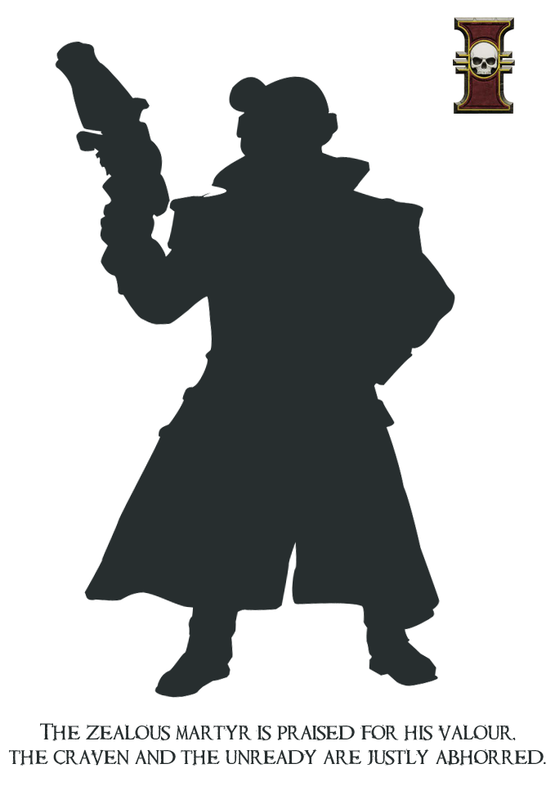 Looks like a fun Rogue trader figure so far, looking forward to seeing how this one develops. The Dark Eldar pistols seem perfect for this sort of thing. Indeed, the Dark Eldar weapons and kits in general are perfect for inquisition models. Is that the same figure you started ages ago on Warseer? STOP STARTING SO MANY PROJECTS AT ONCE!!!! Your frustrated girlfriend that has a second bedroom full of half finished figures everywhere!!! !